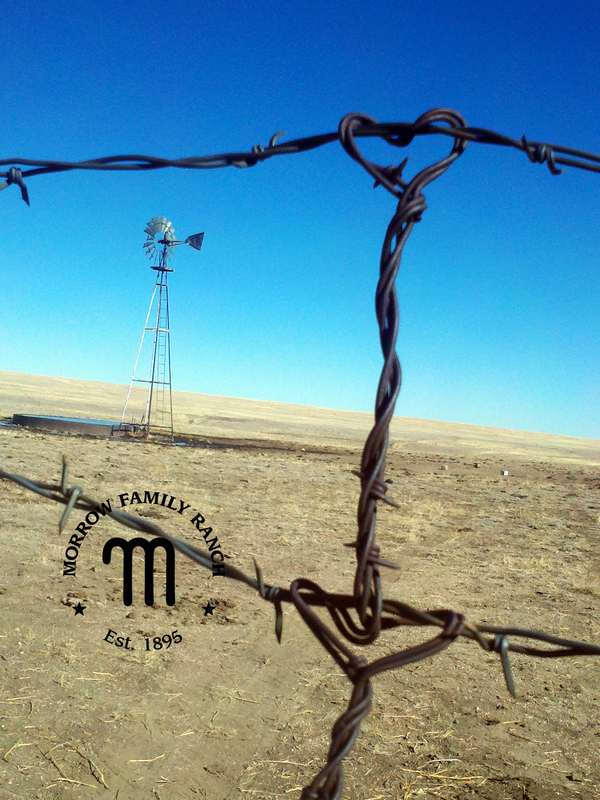 Morrow Family Ranch | Photos and thoughts from a city girl's life on a cattle ranch. The other day, love was in the barbed wire fence leading to the calves who were weaned just this fall. Finding the love and beauty that surrounds us, isn’t that what life is about? There are barbs along the way but mostly it’s threads that are intertwined to create strong ties and lasting relationships. I hope you enjoy it today and everyday! Happy Valentine’s Day. It’s been a while since we’ve had any moisture. For months we’ve been hoping for a good rain, any sign of moisture. But, nada, zip, zilch. Just dust, dust and more dust. The old timers are saying they’ve seen it this dry in places over the years but never quite so dry over the entire region. For the last 48 hours everyone has been talking about the snow forecast. It’s here. It’s not very wet snow and it only fell for a few hours leaving just a couple inches. But, we’ll take it. And, the horses are enjoying it, too! Snow kidding, the forecast was finally correct! 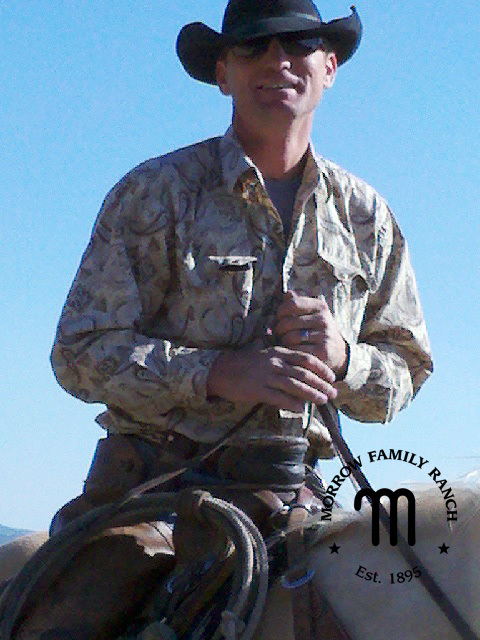 In keeping with Queen Elizabeth’s Jubilee media blitz, I thought I’d share the American Cowboy version of regalia. 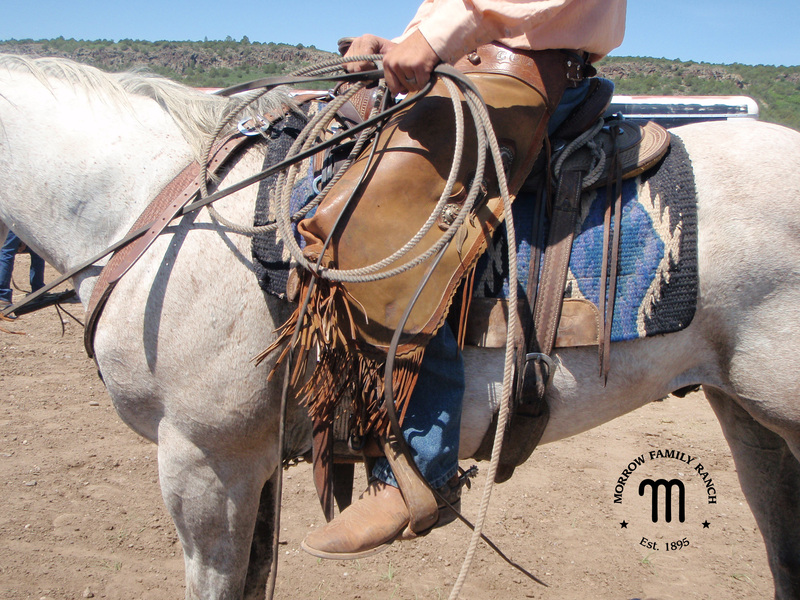 A cowboy’s rope, chinks, saddle, saddle blanket, boots, spurs, hat, conchos and so on are his version of regalia. Much like the rule about white shoes, Cowboys around here have a rule about straw hats: Straw hats between Memorial Day and Labor Day only. This is Cody in his work wear the week before Memorial Day. 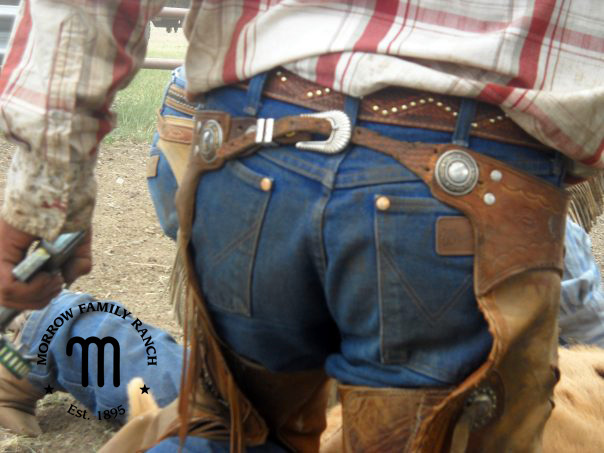 My understanding is that this is mostly true in Cowboy Culture, or should I say Cowboy Couture. When it comes to his hat, my cowboy is fashion conscious, even if it means toughing out a few hot days in late May until Memorial Day arrives. This is Cody in his work wear on Memorial Day. Now, when I met him in 1995, he was mixing and matching black shoes and a brown belt… it was nearly a deal breaker for my fashion taste. But, I was able to overlook the belt and shoe problem since this view was so much better. 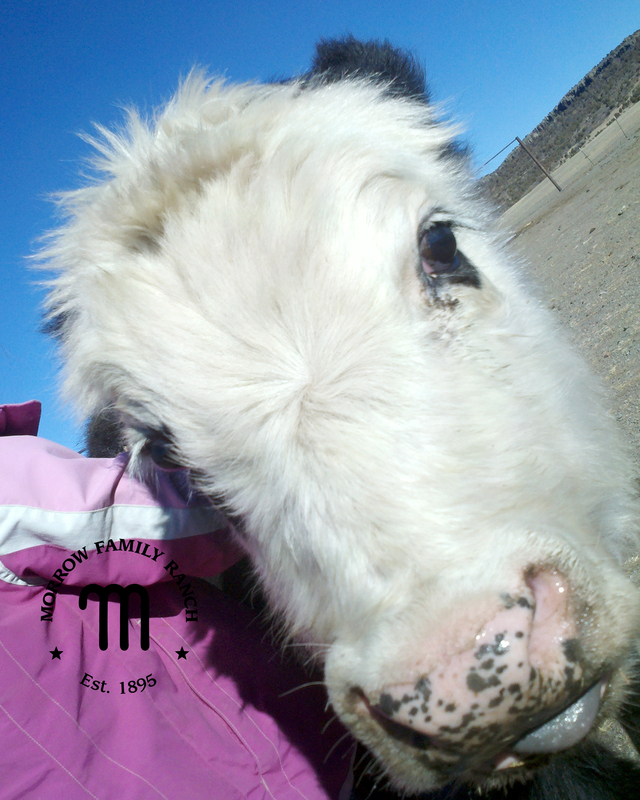 Last week, I introduced you to Andre the Giant, the biggest calf on the ranch. 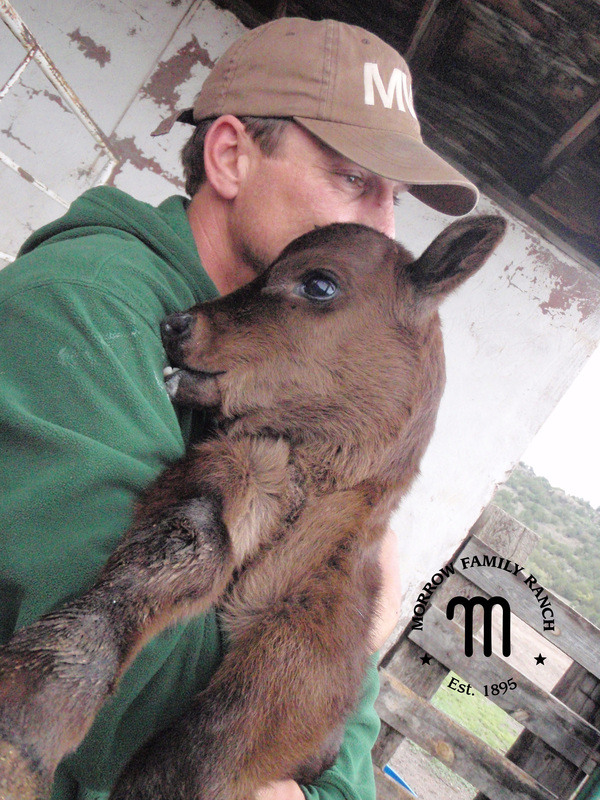 This week, meet Tiny, the smallest calf on the ranch. Tiny is so cute and super sweet. 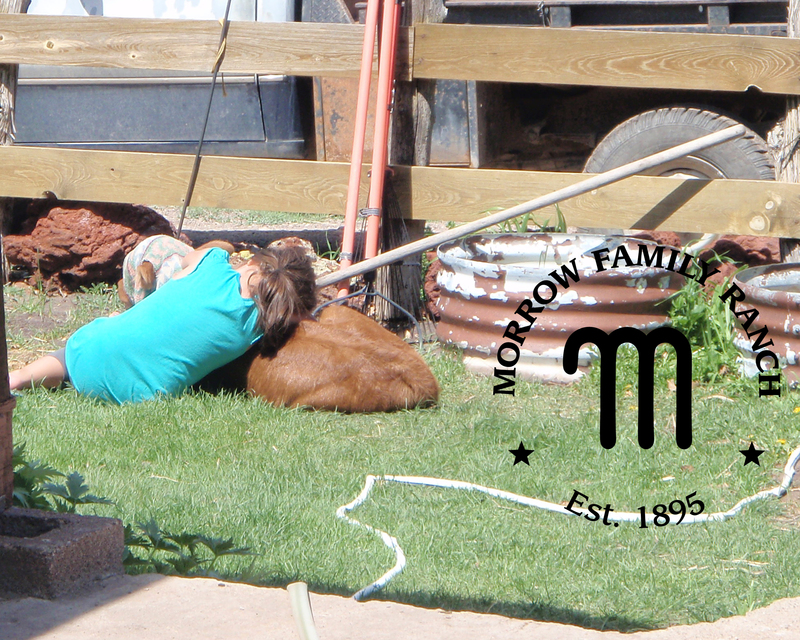 Luckily, she has a momma who loves her (and a cowboy, too, by the looks of it!). But, momma is a first calf heifer who doesn’t seem to be producing quite enough milk, even for this little one. In that case, we are keeping her close by to supplement feedings. She is happy for the extra meals. Although, she’d rather have the real deal from her momma. Who can blame her? Mother’s milk is called “liquid gold” for a reason. 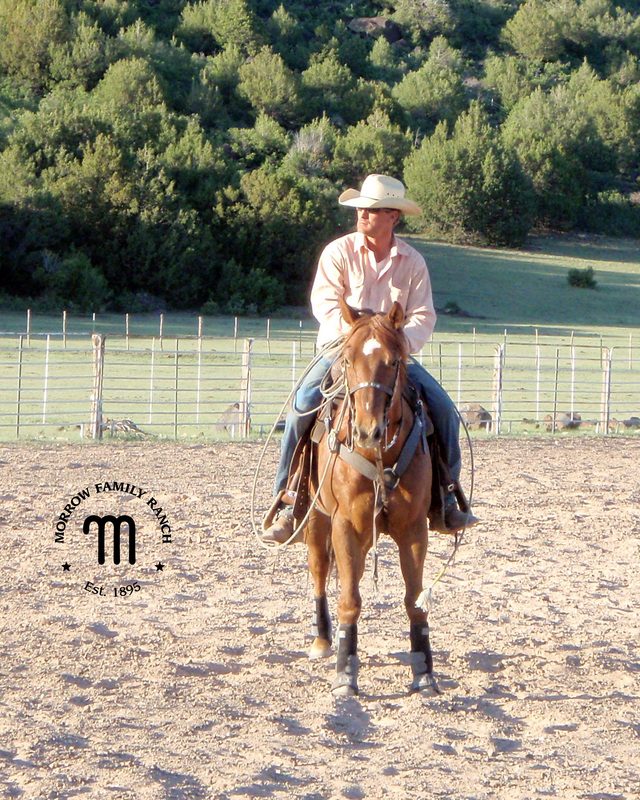 © Janice Morrow, RealRanchWife and Morrow Family Ranch, 2011. Unauthorized use and/or duplication of this material without express and written permission from this blog’s author and/or owner is strictly prohibited. 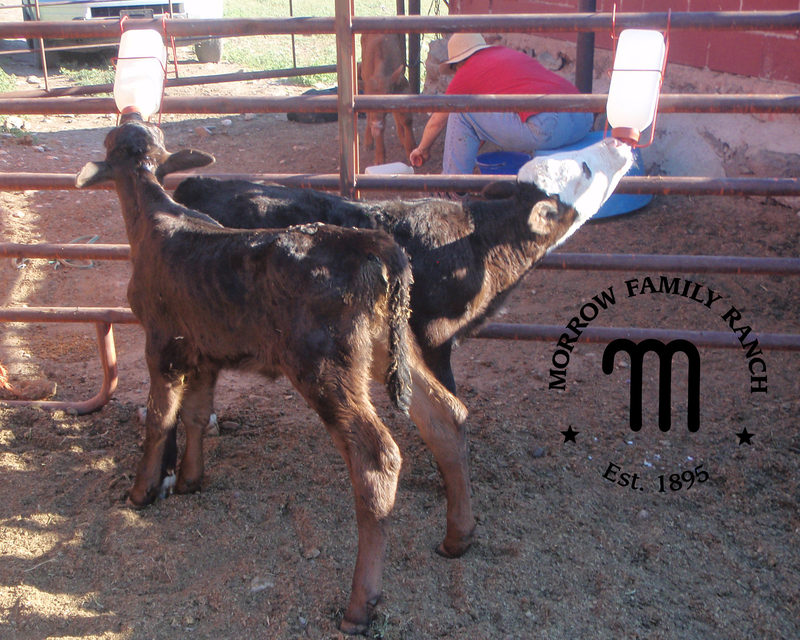 Excerpts and links may be used, provided that full and clear credit is given to Janice Morrow and Morrow Family Ranch with appropriate and specific direction to the original content.